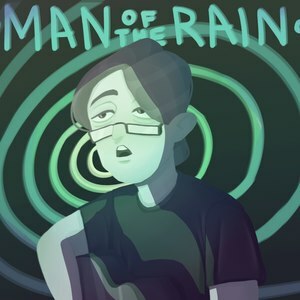 Creative (Music) and Variety streamer. My name is Anton. I am from Russia, and I love videogames, probably like overwhelming majority of us. However, my main focus on broadcasts is currently Music and Creative. If you are looking for serious competitive player, you are probably took the wrong address :) If I play videogames when I'm live, I mostly like story-based games, both retro and modern. Apart of livestreaming I also enjoy music production, singing, playing guitar (maybe bass guitar as my main instrument, too), writing. I cannot say I belong to any kind of fandom but I'd gladly know about yours, it's always exciting to find out new TV shows/anime/cartoons/movies! I play games since I was ~6, so my experience is very wide and diverse. My favourite genre is mostly RPG, but won't refuse to play any other genre if game's really good. I am not seriously competitive player, my main goal in gaming is mostly entertaining. I am variety streamer, so one day I broadcast one gamer, and on the next week is going to be another. My favourite game series are Gothic, The Elder Scrolls series, although it's extremely difficult for me to distinguish single games that I enjoyed most, I've played in so many of them! As a creative streamer my goal is to improve myself as a singer and a music performer, to become better in what I like to do. I also want to find as many people that enjoy my singing as possible, maybe find other creative streamers to collaborate. Pretty much the same as Creative. That would be exciting to learn new tricks at music production and sound engineering. I mostly enjoy perform music covers live. Planning to do music creation live. I can sing rock, metal or folk songs on my broadcasts and make some light instrumental guitar music. https://soundcloud.com/faceless92/demo-2 <- one of my early demos. Are you looking to collaborate with other music streamers? Do you do music streams for charity? Seeing big wins or losses of the streamer is always the most exciting. Long nights with smaller streamers when you are alone in the chat speaking to them is the most humble experiences on Twitch. I mostly enjoy smaller streamers under 25 viewers, because smaller streams allow speaking to broadcaster directly without having to donate to them every time you want their attention. Smaller streamers also value viewers more than bigger ones. Report Man_of_the_Rain's profile for containing a lack of content. Report Man_of_the_Rain's profile for containing unsafe links. Report Man_of_the_Rain's profile for containing offensive content. Report Man_of_the_Rain's profile for containing formatting errors. Report Man_of_the_Rain's profile for containing invalid links. Report Man_of_the_Rain's profile for another issue.